When an “Agreement” is Not an Agreement. Parties in a lawsuit have a lot of latitude to agree to settlement terms. This is certainly true in divorce. Virtually everything is negotiable and if an agreement can be reached, usually it will be approved by the Court. However, to be an enforceable agreement it must be approved by the Court. Until such time as your agreement is reduced to writing, signed and approved by the Court, it is on iffy ground as to enforceability issues. While some issues may be contracted without Court approval in a family law case, such as property division and alimony, some issues can not be enforced absent Court approval, such as child custody related terms. Likewise, “changing” your Court papers without Court approval is dicey. Swapping out a holiday here or a week there is not usually a big deal, but changing payment terms, amounts, or duration can lead to serious consequences if done without Court approval. Child support vests as it comes due and absent exigent circumstances cannot be forgiven. An agreement to agree is no agreement at all. 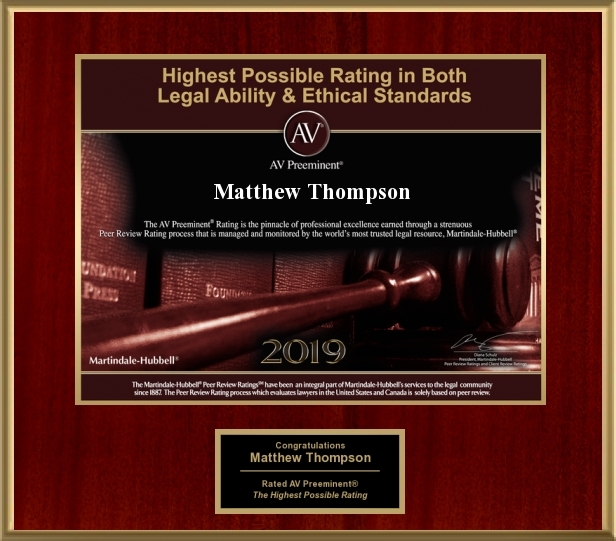 Matthew Thompson is a Divorce Attorney and reminds you to have your Agreement approved by the Court in an Order. Modifying Your Divorce Without the Court, Think Again. This is an all too common occurrence. Mom and Dad get divorced, rock along and a few years down the road they decide to change their deal. They are getting along, at least better than before the divorce, and both are burned from their past experiences with attorneys and attorney fees. So…they decide we can handle this like mature adults. Dad wants a custody tweak, Mom needs a support adjustment – bam-shabang– let’s just do it. Mom and Dad agree that the Order will be “modified.” They switch to a week-on, week-off custody arrangement. The kids are older, it works. Dad starts paying support directly for the benefit of the kids. He pays for the child’s car and insurance, and picks up health insurance which was previously mom’s responsibility. Dad does not pay mom directly. It’s about the same money, probably. What could go wrong? A lot of things! Court Orders may only be modified by other Court Orders. Once an Order is issued and in place the parties are bound to follow it. This is so ironclad that the Court has a mechanism in place to enforce its Orders that can result in the breaching party having to pay fines and/or go to jail. This process is called Contempt. If you are not following the Order in your case, you are subject to a contempt petition being filed by the other party. Dad scrambles to get his “proof” that he paid the car and insurance, but that is not what was ordered. Mom tries to justify her position on the visitation retread because that is what the papers said, as if her hands are tied now and the “papers” know best. Had they done an Agreed Order and had it approved by the Court, they could have accomplished the same thing and not left the door open for future problems of having the old Order used against them. Both would have been protected and still had the same “teeth” in enforcing their Agreement it would have just been enforcement of their new Agreement. Now both have risk and have conducted, at least, actionable non-compliance with the Court order. If you modify your Order/Agreement do it in writing, signed and approved by the Court. It’s the only way to guaranty that the Agreement is enforceable and for protection from being subject to Contempt for not doing what was in the prior Order.